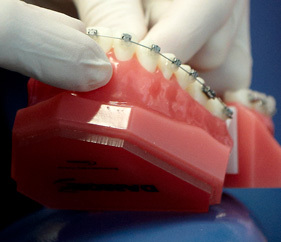 Your dentist may have discussed the benefits of straightening your teeth and improving jaw alignment with you. Crooked and crowded teeth are hard to clean and maintain. This can result in tooth decay, gum disease, and other dental issues. Teeth that are not straight or in proper alignment contribute to abnormal wear, inefficient chewing function, excessive stress on gum tissue and the bone that supports the teeth, and misalignment of the jaw joints. These symptoms can lead to chronic headaches and/or face and neck pain. Perhaps the issues with your teeth are more aesthetic, and you just don’t like the way your smile looks to others. An orthodontist can help to create the smile you always wanted. Treatment is more economical then you may realize, and can prevent further dental issues and complications in the future. Cory Liss Orthodontics offers flexible payment and treatment solutions. You don’t have to live with crooked teeth and the many associated symptoms. Consider having a consultation to learn more about orthodontic treatment and the options available to you.